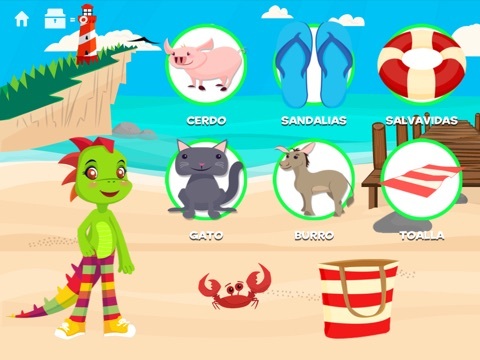 Juana la Iguana Goes to the Beach is a language-learning app for preschoolers. 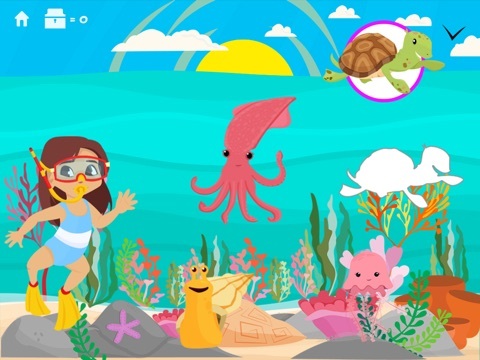 The title character guides young children through six different types of activities that teach naming ocean life, identifying beach-themed items, learning about tropical fruits, and more in Spanish. 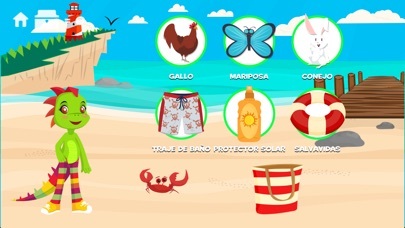 Juana la Iguana Goes to the Beach is a high quality app that will help young children become familiar with various Spanish words in context. The app is easy to use and features automatic transitions between activities. Developers included a protected parents’ area that houses links to more apps, social media, and email. It also includes a selection of supplemental activities that can be used off-line. This app is highly educational. 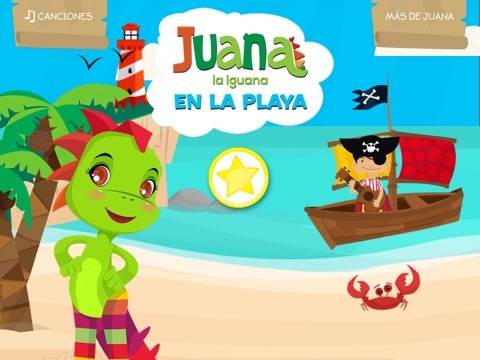 Young children’s minds are already open to learning languages in this immersive fashion, and Juana la Iguana does a good job of providing necessary visual context to learn and understand the focus vocabulary. 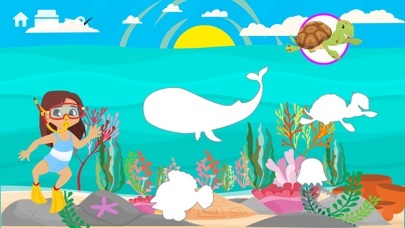 Children will learn Spanish names for ocean animals, how to count and compare numbers, and more. The activities will also promote matching skills, memory, comparison, attention to detail, and several other important skills. 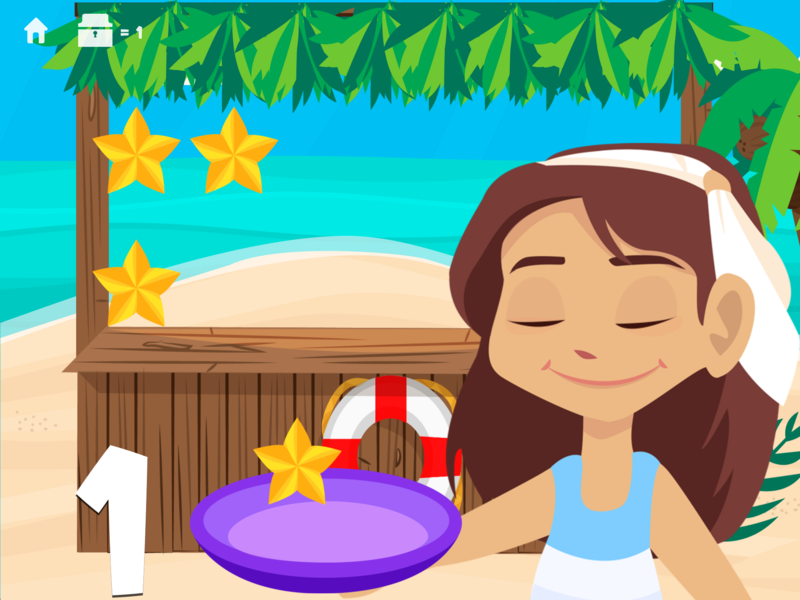 Even if your child is not interested in language learning (or if you don’t feel it’s a priority), this app will also help your child improve many other important skills. 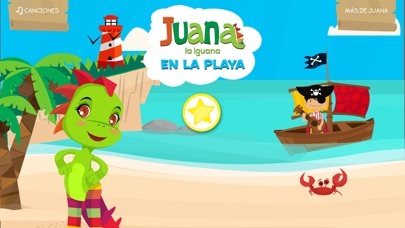 Juana la Iguana Goes to the Beach is an entertaining app that will please most preschoolers. 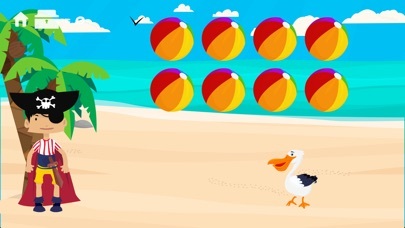 There are six different games that build or provide practice for the focus skills, including several drag and drop exercises, sorting activities, and a memory game. 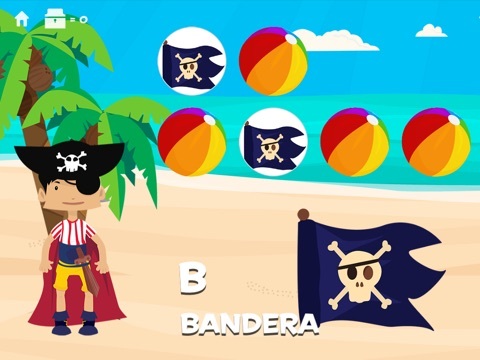 After completing a few activities successfully, children are rewarded with a visually attractive “music video” featuring a common children’s tune sung in Spanish. This app costs $1.99 on the App Store, and that’s a great value. It’s full of educational value for preschool users, and kids will enjoy playing with it. The six games are so quick, however, that they may begin to seem a bit repetitious after a relatively short play period. This app is very child-friendly. When the app is first opened, however, it brings up an unprotected email mailing list sign up screen. There is a “skip” button on the upper right corner of the screen, but this screen should only be available to adults. I hope developers will move it to the protected parents’ area, because it detracts from the overall child-friendliness of the app.